STANTHORPE is renowned right across the country for its apple production. But like everyone else, producers are feeling the pinch brought on by the dry. Weather is hampering production, quantity is down and the hot, dry weather is having a toll on apple quality. "I think we're all at a very critical stage,” Ugo Tomasel from Ausfarm Fresh said. "The weather is far from ideal for good growing conditions. It's been pretty hot and extremely dry. It's getting to the point where some people are deciding whether to keep watering all the paddocks or just try cut a couple off and save some of them. He believes quality is still top notch, but there's no doubting that the volume being produced has diminished. "Even if we just got 100-150mm - it'd change the whole dynamic. It'd give us some breathing space,” he said. "When you've got smaller fruit you've got less volume. Lindsay Spencer, from Stanthorpe Fruit Company, said the affects are having a flow-on to his business. "It's looking like it's going to be a pretty tough apple season for growers,” Mr Spencer said. "From a customer perspective, they've generally been unhappy with the quality of apples over the past couple months. "It has been pretty tough to get anything that's really good. But as they've been picking Galas over the last two three weeks... our response from customers - the crunch, flavour, the juice - the customers are loving it. Despite that, overall Mr Spencer said the affects of this season will make for a "slower year” for them too. 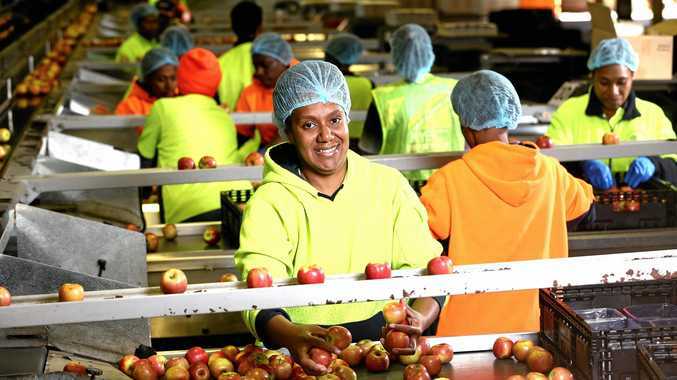 "For a business like us that more or less carries Stanthorpe produce, mainly apples, probably 95 per cent, it is going to be a slower year for us too,” he said. Mr Tomasel said the next few weeks will be telling. "We're sort of coming to the point that in the next week or two we're going to have to make some decisions. We're just going to have to prioritise where the highest value is,” he said. 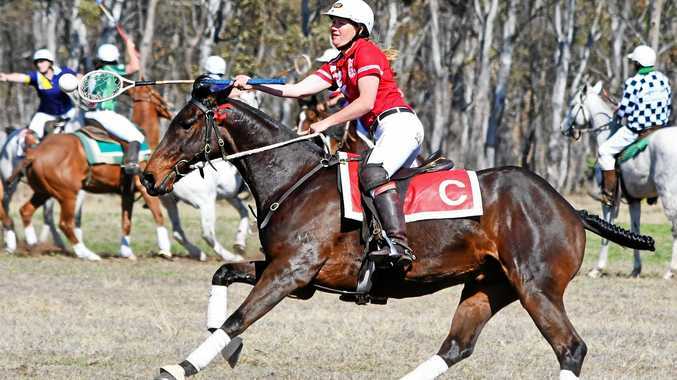 "It highlights that Stanthorpe is very poorly serviced with water. It's got huge potential but water is a very limiting factor.